Imagine swimming in the custom made pool of your dreams. Crystal blue waters, elegantly designed water features and accented landscape surrounds. You don’t have to dream to enjoy such a pool. Instead call Azure Pools & Spas—we make dream pools come to life. 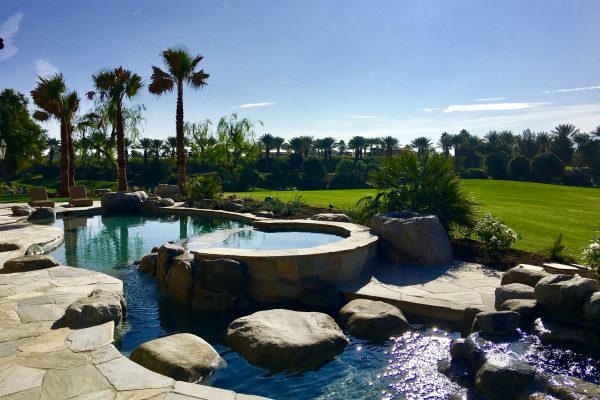 As a pool contractor specializing in new custom made pool construction and pool remodeling, we have made quite a reputation for ourselves in Indian Wells. Our designs and construction methods are world-class and we continue to captivate the attention of the pool design community. Take a peek at our portfolio. For over a quarter of a century, Azure Pools & Spas designed, constructed, and remodeled pools of various sizes and shapes. Allow us to build your next pool that is customized to your vision. Our design philosophy centers around the principle of giving the customer exactly what they want. We always focus on customizing the pool to suit the vision and needs of the client. During the planning phase of a pool project, one of our design representatives meets with the client to gather the layout of the property and to discuss what the client wants. With Azure Pools & Spas, you’ll have a pool design team that is able to integrate designs from all over the globe. Our construction crew has decades of experience and understand a wide array of construction methods. We’ll put a swimming masterpiece in your yard that will amaze your friends and family. Although a pool can be exceptionally beautiful, much can be wasted if it is not functional. Creating an aesthetically pleasure yet functional pool requires insight, time, and construction expertise. Azure Pools & Spas has all of these qualities and more. We make sure that all of the necessary items such as city permits and home owner association regulations are met before moving ahead with any pool construction. As we move forward with the pool construction, we will supply you with a detail checklist and milestones. Every step of the way expect to be well informed of every detail of your pool project. 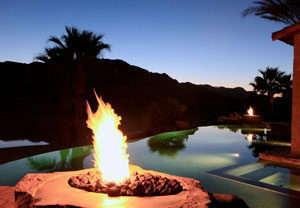 Azure Pools & Spas is a fully licensed, insured and bonded custom pool designer serving the Indian Wells community.